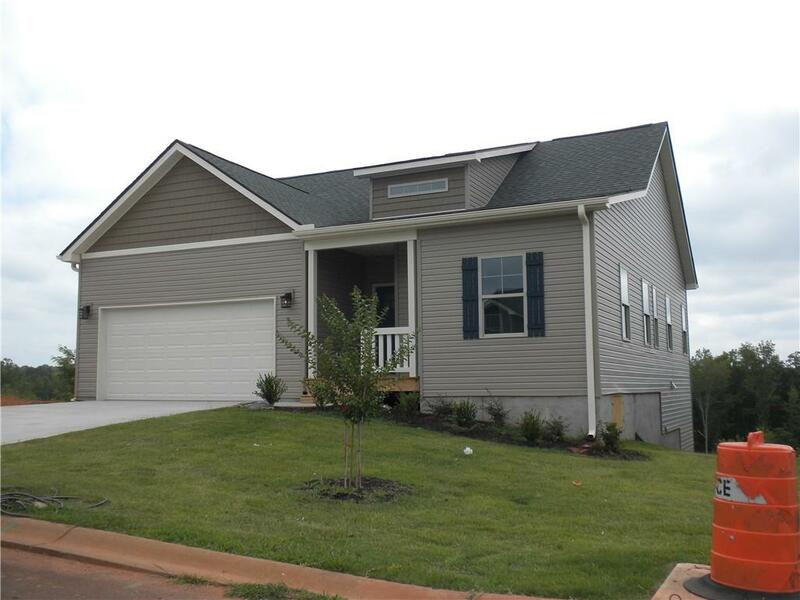 Craftsman style finished basement to be available for summer move in. 3 bedroom/2.5 bath home features 9 ft. ceiling on main level, master on main w/tray ceiling, walk in closet, double vanity with cultured marble counters, walk in shower, ceramic tile flooring.Kitchen features white maple cabinets, Caledonia granite countertop, dove tailed soft closed drawers, SS appliance, large pantry. kitchen open to dining and living area with 5" laminate wood in Montreat Hickory color throughout main living area. Upstairs has a large deck that sets up high for a great view. Downstairs finished basement has two bedrooms, full bath and 16 x 16 family room with walk out patio area. Subdivision has HOA maintained lawns, street lights and sidewalks throughout, community pool construction will start in March (per seller) 4 miles to Clemson University and within walking distance to Historic Downtown Pendletons shops and Restaurants.